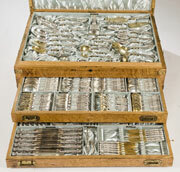 Circa-1900 Tiffany & Co. sterling silver flatware service for 12, Florentine pattern, with additional serving pieces and triple-tier chest, est. $20,000-$25,000. Quinn’s Auction Galleries image. FALLS CHURCH, Va. – When it comes to elegant residential decor and grand ambassadorial-style hospitality, few American cities can match Washington, D.C. A hub for international diplomats for centuries, it has long been known as a sweet spot for tasteful antiques and artworks, such as those to be auctioned Sept. 10, 2011 at Quinn’s & Waverly in suburban Falls Church, Virginia. A special Sept. 8 offering of antique books, maps and autographs; and a Sept. 7 session devoted to antique pewter will precede the main sale. 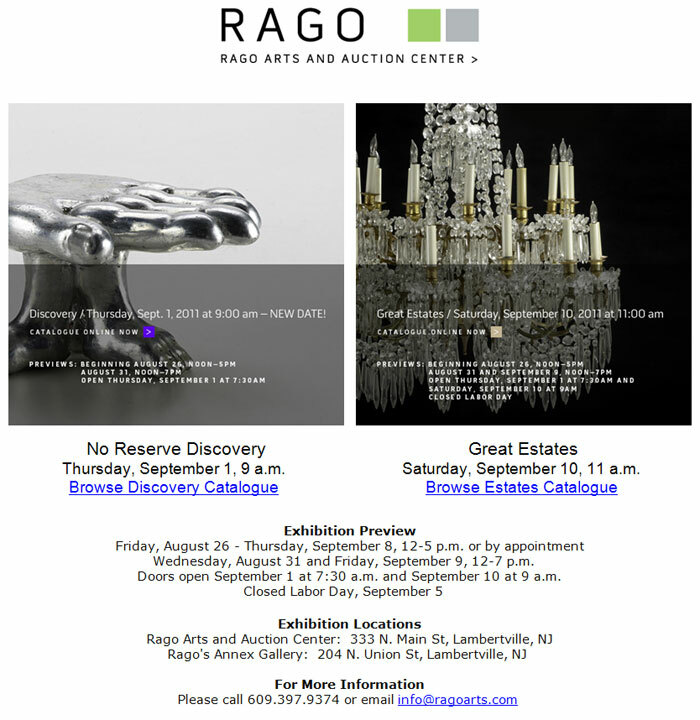 The company’s Sept. 10 Fine & Decorative Art sale includes a wealth of treasures from D.C.-area homes, including a superb Tiffany & Co. antique sterling silver flatware service for 12 and a striking hand-painted and glazed Picasso ceramic pitcher. 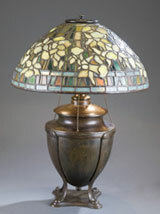 Circa-1905 Tiffany Studios ‘Daffodil’ table lamp with bronze urn-form base, multiple stamps and signatures on shade and base, est. $15,000-$20,000. 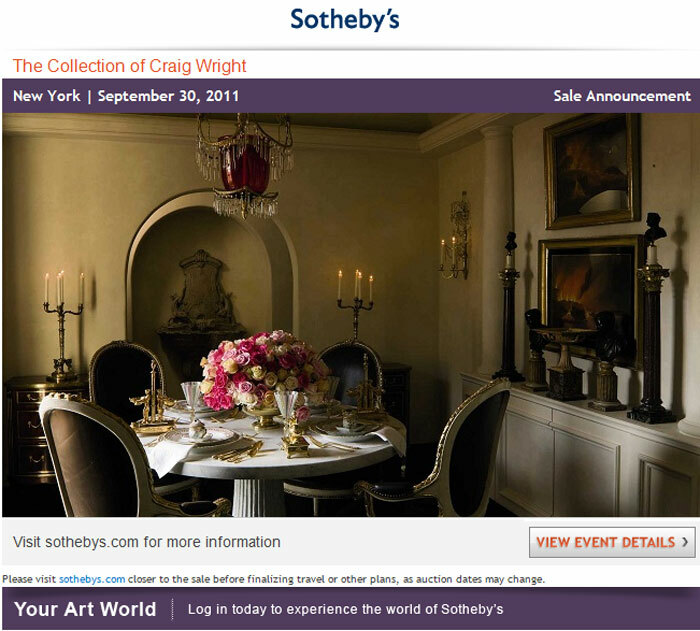 Quinn’s Auction Galleries image. weight for the service – which is stored in a custom-made, triple-tier satin-lined chest – is 272.436 ozt. The hefty sterling service carries a presale estimate of $20,000-$25,000. Chicago and features an exquisite Daffodil shade on a perfectly balanced, urn-form, oil-font base. It has multiple Tiffany markings and stamps on both the shade and base – always a desired bonus – and is expected to make $15,000-$20,000. A handsome mid-19th-century Continental rosewood-veneer secretary features two doors with glass panels in Gothic trefoil frames, and side-by-side drawers over a pull-out writing surface that reveals further drawers and inlaid pigeon holes. The bottom portion consists of three stacked drawers centered by two cabinets. Estimate: $2,000-$3,000. 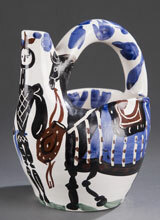 Pablo Picasso (Spanish, 1881-1973) glazed earthenware pitcher, ‘Cavalier and Horse,’ circa 1952, est. $4,000-$6,000. 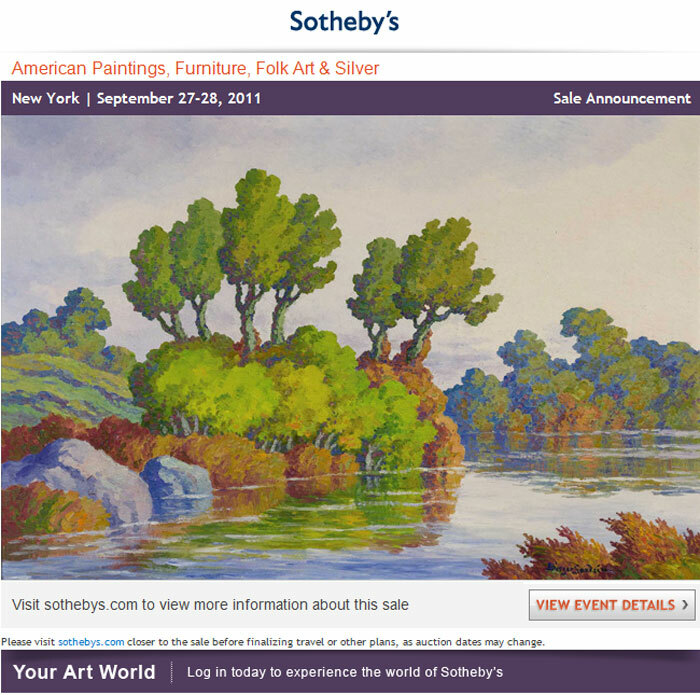 Quinn’s Auction Galleries image. and Horse” glazed earthenware pitcher. Finished in deep cobalt blue, tobacco brown and black on a white ground, it is inscribed “Edition Picasso” and “Madoura,” with appropriate stamps and the edition number “126/300.” The vessel is estimated at $4,000-$6,000. Fine art entries include a signed, circa-1963 Richard Alan Schmid (American, B. 1934-) oil on canvas titled Azaleas. An accomplished work measuring 20 by 12 inches (sight) and presented in a frame inscribed “Framed by Schmid,” it is described by Quinn’s associate Matthew Quinn as “a painting with great presence – it captures the eye and stands out as being something special.” The artwork could bring $4,000-$6,000. The oil-on-canvas landscape Pine Tree, Norfolk, Connecticut was painted by Guy Pene du Bois (American/French, 1884-1958) and features a central pine tree with long branches, against a hazy green and blue background. Artist-signed and inscribed, the artwork measures 16¼ by 12 inches (sight) and is estimated at $1,800-$2,000. Royal Copenhagen glazed cobalt-blue porcelain coelacanth. Designed by Jeanne Grut (b. 1927-) est. $3,000-$4,000. 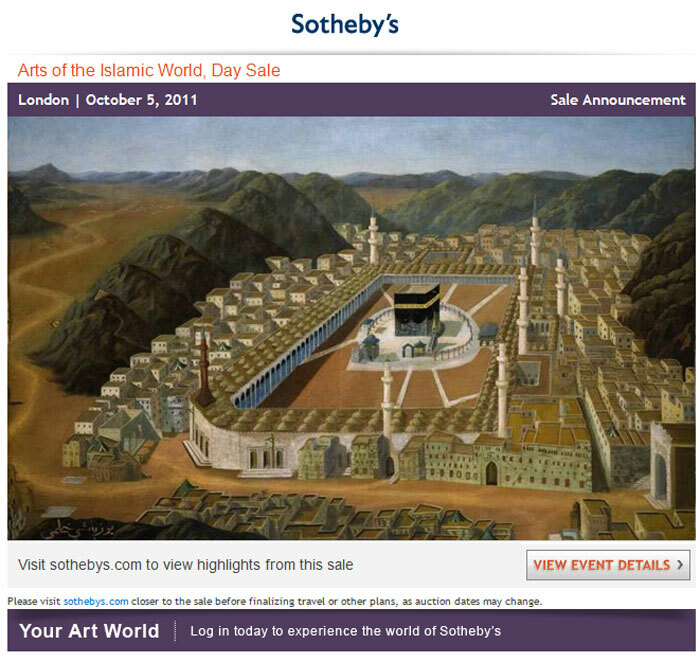 Quinn’s Auction Galleries image. Measuring 42 inches wide by 21 inches high, a Royal Copenhagen glazed cobalt-blue porcelain coelacanth (also known as a “fossil fish”) features bas-relief scales, an arched back and open mouth. Designed by Jeanne Grut (b. 1927-), the piece is titled The Blue Fish and could reel in $3,000-$4,000. To be auctioned in Quinn’s & Waverly’s Sept. 8 Antique Books, Maps & Autographs session, an important 1802 Presidential document signed by Thomas Jefferson and Secretary of the Navy Robert V. Smith, est. $3,500-$6,000. Quinn’s Auction Galleries image. 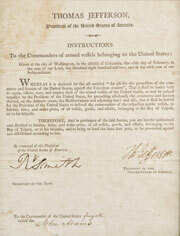 “This document, which was identified as ‘An Act for the protection of Commerce,’ was a key part of the Jefferson Administration’s increasingly strong response to the demands of northern African pirates for tribute in return for the safe passage of American merchant ships,” said Waverly’s specialist Anson Brown. At the time, captured American sailors were being held for ransom or even sold into slavery in Africa. Jefferson flatly rejected the Pasha of Tripoli’s demand in 1801 for $225,000 in tribute, with annual payments of $25,000 thereafter. Instead, Jefferson crafted an Act that empowered the U.S. Navy to arm its personnel and take proactive measures. The historically significant document is estimated at $3,500-$6,000. The Sept. 7 session’s European pewter offerings are led by an early 17th-century charger stamped “Cardinal” and marked on the plate rim with the Arms of Bishop Adrian III or IV of Riedmatten. On verso, it is marked “Pierre II Royaume 1609” and has the hallmark “F” below a crown. Measuring 13¾ inches in diameter, it is expected to make $200-$400. A Sept. 7 session dedicated to American and Continental pewter includes this selection of boxes estimated at $200-$300 the lot. 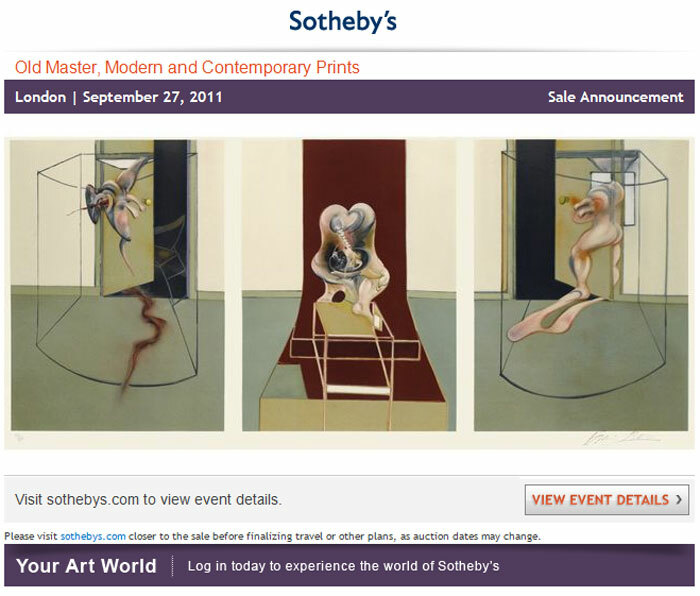 Quinn’s Auction Galleries image. A group of four pewter boxes includes a spice box with animal feet and finial with an interior angel-and-sword mark for Johannes Vepz. It is also marked “1715” on the lid. The quartet also includes a sectioned French pharmacy box marked inside the lid “FP Dusaussois Paris 1795,” and an old pewter snuffbox, possibly 18th century. Lot estimate: $200-$300. An American (Meriden, Conn.) Jean Theobald pewter tea set with wood handles includes a teapot, cream pitcher sugar dish and tray. Each piece is stamped “Pewter by Wilcox P26.” Quinn’s estimates the set will realize $200-$400. All forms of bidding, including live via the Internet, will be available for Quinn’s Sept. 10 Fine & Decorative Art auction, and for the Sept. 7 Pewter and Sept. 8 Books, Maps & Autographs sessions. 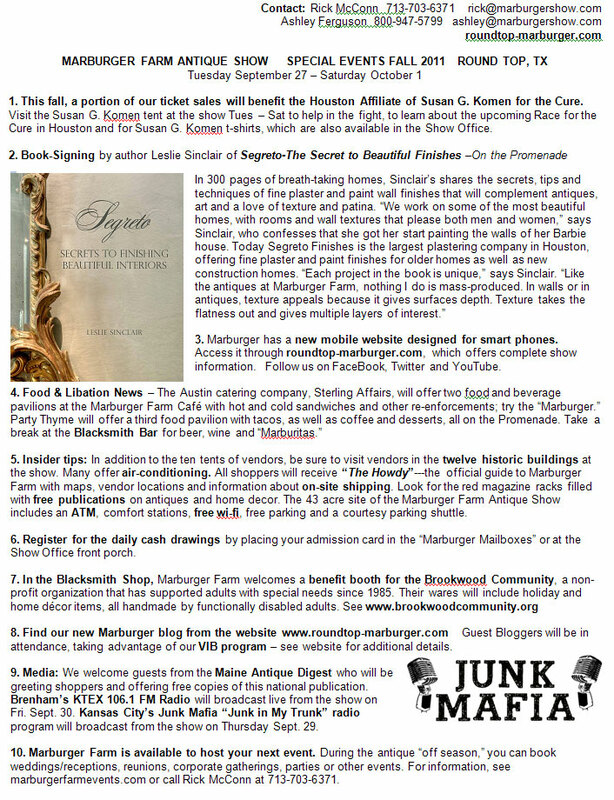 For additional information, call Matthew Quinn at 703-532-5632 or e-mail matthew.quinn@quinnsauction.com. Visit Quinn’s online at www.quinnsauction.com. 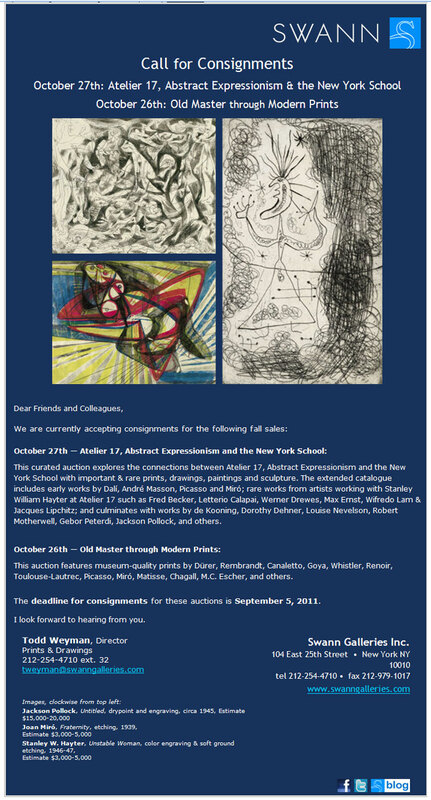 Swann Galleries Is now accepting consignments for their October 27th: Atelier 17, Abstract Expressionism & The New York School and October 26th: Old Master through Modern Prints Auctions.